Whether you’re fully into the keto diet or you’re thinking about taking the plunge, any time you change your eating habits it can be challenging at first. And especially so with keto. No other diet has the science supported results that keto boasts, but it also comes with a learning curve. Most of us aren’t used to dramatically cutting carbs, counting macros and boosting fat at the level that the keto diet requires. If you need help with getting your arms around the whole “keto thing” or you just need some recipe inspiration because you’re sick of cauliflower, investing in a good keto cookbook is a great way to stay in ketosis. In this article I’m going to review some of my favorite keto cookbooks to help you find the one that resonates most for you. Author Suzanne Ryan could be a poster child for anyone that wants to use keto to lose weight. In her cookbook, Simply Keto Ryan tells the story of how she lost over 100 pounds and overcame morbid obesity on the keto diet. Her weight loss story aside, this is probably the best keto cookbook for those that want to focus on getting weight loss results with keto. Like most keto cookbooks, she lays the groundwork in the first few chapters reviewing the basic concepts of the diet like what ketones are and how to get into ketosis in the first place. She’s got lots of keto cookbook staples like shopping lists, kitchen gadgets and tools to have handy. But what she has that many other keto cookbooks don’t is a section on troubleshooting weight loss plateaus. Since that’s a key reason why many people consider keto in the first place, that’s a huge upside to this book. If you’re someone that’s on the keto diet for weight loss and you’re looking for simple, no fuss ingredients to make the process as UNcomplicated as possible, this could be a great cookbook for you. You’ll also be inspired by Ryan’s own journey along the way. If you want to do keto and you want to do it right this is the book to get. In fact, it’s not really just a keto cookbook. It’s really a ketogenic diet book and a darn good one. I’ve always been a fan of Mark Sisson and I really like the way he’s able to take complex, scientific concepts and explain them in a way that’s easy to understand. The Keto Reset Diet approaches “going keto” as a multi-step process. First, Sisson recommends 21 days to reset your metabolism through purging unhealthy foods like sugars, grains and harmful fats – all in an effort to heal and repair the body and get you ready to make the transition to full blown keto. After you’ve done the heavy lifting of removing the worst offenders from your diet, it’s time to make the transition to keto. Sisson lays out the entire plan throughout the book in a detailed, science supported process. You’ll learn all the keto basics like how to count macros, but he also has a holistic approach to keto so you’ll also learn how exercise, sleep, stress and even fasting can impact your results. This is the keto cookbook to invest in if you want a step-by-step process to making the transition. If you’ve been on the keto diet for a little while and you’re missing some of your favorite carb loaded comfort foods, this is a great keto cookbook to invest in. The keto diet can definitely feel more restrictive at times, so this keto cookbook is a lifesaver when you need something to satisfy cravings without kicking you out of ketosis. Emmerich includes mouthwatering sweet and savory recipes such as chicken and waffles, cinnamon roll bread pudding, garlicky cheddar biscuits and even party food like loaded nachos. For the holidays try her keto-friendly version of yorkshire pudding. And to satisfy your sweet tooth she has a variety of fun recipes like keto “Debbie cupcakes”, chocolate truffles and whoopie pies. Where other cookbooks get the desserts all wrong, Emmerich has an entire section on how to combine sweeteners for the best flavor profile for your keto desserts and treats. Anyone that’s been eating healthy for a while knows that there’s an art to using sugar substitutes like Stevia. Emmerich gets it right. This is a great keto cookbook for you if you’ve been on the keto diet for a while and you’re looking for some comfort food that’s keto approved. It’s a tall order. An entire keto cookbook that has 130 recipes with 5 ingredients or less – but Jen Fisch has done it. This keto cookbook is ideal for the busy, on-the-go person that wants to commit to keto but has very little time to prepare recipes. Aside from salt and pepper, all of the recipes in this keto cookbook literally have five ingredients – and they’re keto approved with macros and nutrient details for each one. But it’s not just the recipes that make this keto cookbook a huge win, Fisch has also thought about her busy reader from more than one angle. Even in her section about kitchen equipment to have on hand, she prioritizes the items that are “nice to have” and which ones are “must have.” This lets you cut to the chase and focus on what’s most important to get started right away. More than half of the recipes take 30 minutes or less to prepare and she has certain recipes labeled as “one pot”, “one pan” “30-minute” or “no cook.” She’s a woman after a busy mom’s heart. Oh, and the recipes look awesome, too. I can’t wait to try the almond butter smoothie, cream cheese pancakes and broccoli cheese soup. This is one of the best keto cookbooks I’ve seen to date because it’s so comprehensive. It has absolutely everything you need to know to go keto and do it well. 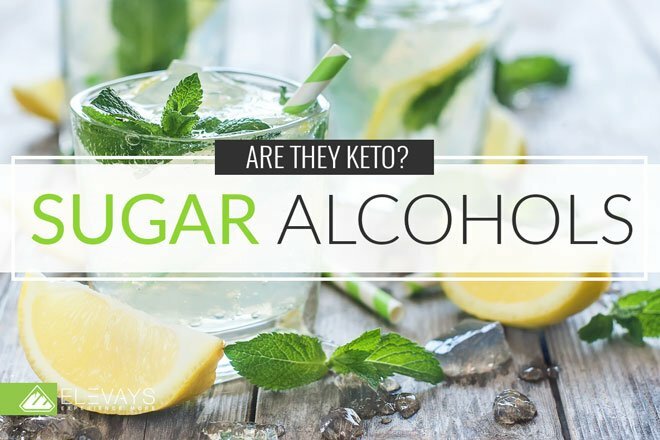 Of course it covers the basics like how to get into ketosis, but Vogel does a great job of also covering the many nuances of transitioning to the keto diet. She gets into carb cycling and how to do it, how to eat at restaurants, how to incorporate fasting and how to travel while you’re on the keto diet. And that’s just scratching the surface. What I also love about her book is that she has created several different “keto paths” that offer a variety of places to start on the keto diet. Whether you’re an athlete trying out keto or you just have a little bit of weight to lose, each one of her keto paths is created to help you “go keto” in a way that resonates for you. Her customized approach is really refreshing since sometimes people see keto from a one-size-fits-all perspective. Her book is very practical and detailed and also comes with meal plans that correspond to the recipes she has in her book. This is also a keto cookbook with macros for every recipe which is super helpful. For the recipes, you can look forward to interesting keto friendly meals like jambalaya, bacon mac and cheese and carrot cake. This is the perfect keto cookbook for combining great recipes with a customized keto diet plan that you can really stick with long term. Do you have any favorite keto cookbooks that you want to share? Where do you find keto recipes that inspire, save time and make the keto diet easier? Let us know in the comments below!